On Thursday, March 7, we were joined by Seattle’s Director of Early Learning, Monica Liang-Aguirre, and the National Institute for Early Education Research (NIEER), for a webinar to discuss high-quality pre-kindergarten (pre-K) and policies that support it. During this webinar, Liang-Aguirre shared insights on how and why Seattle pursued their recent expansion of their pre-K program. We also discussed our new report with NIEER, Pre-K in American Cities. The report finds a growing number of cities, including Seattle, are creating new, local funding streams to establish and sustain pre-K programs. It also finds many programs fail to meet minimum quality benchmarks that extensive research has shown deliver lasting benefits, while other cities do provide high-quality programs but reach too few children. 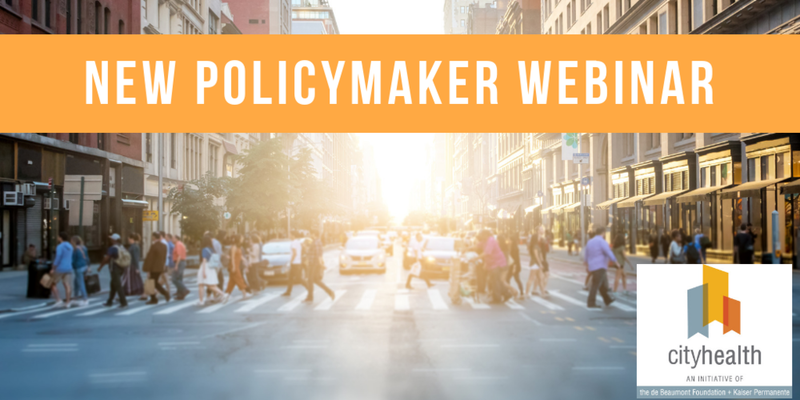 This is the second webinar in CityHealth’s quarterly Policymaker Webinar Series. This series serves as a platform for local leaders to tell their story of pursuing policy change to improve city residents' health and quality of life. which was created as a platform for local leaders to tell their story of pursuing policy change to improve city resident’s health and quality of life. Our first webinar featured a city official who exemplifies bold policy change: Dr. Colleen Bridger, Health Director of the San Antonio Metropolitan Health District. Earlier this year, Bridger led successful efforts in her city to raise the tobacco sales age from 18 to 21, an evidence based policy called Tobacco 21. 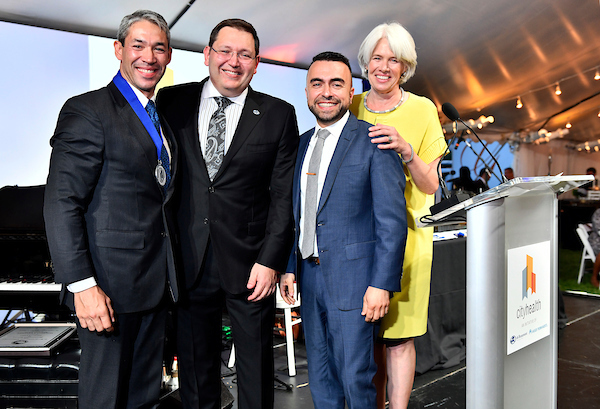 The ordinance made San Antonio the first city in Texas to pass the law, which went into effect days before the webinar, on October 1. 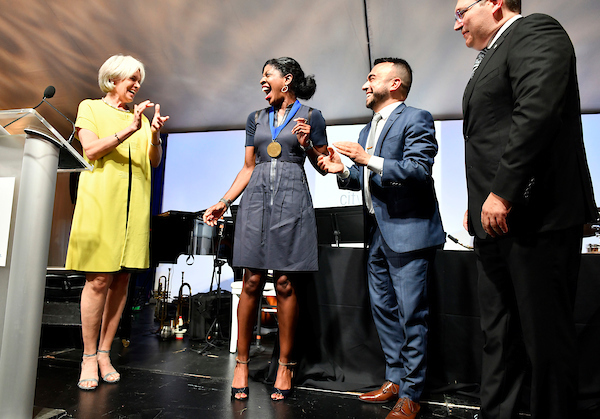 Hear Dr. Bridger’s firsthand account of what contributed to her city’s success and what she considers some powerful lessons learned that can be applied to the work of other city leaders trying to spark change in their communities. Check out the recording of the webinar and the webinar slides. Please read Dr. Bridger’s bio. July 2018 - CityHealth joined with the de Beaumont Foundation and Kaiser Permanente to host the Plenary Session: Unleashing the Power of Policy at the National Associaltion of County and City Health Officials Annual Conference in New Orleans. 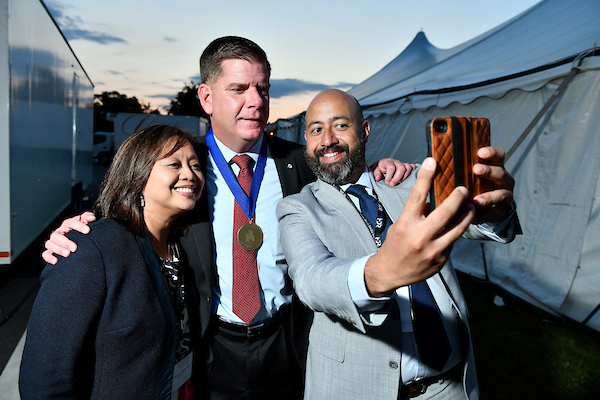 June 2018 - At the 86th Annual Meeting of the U.S. Conference of Mayors in Boston, CityHealth held a medal ceremony to celebrate the cities that show the greatest commitment to policymaking that supports the health and quality of life of their residents over the past year. 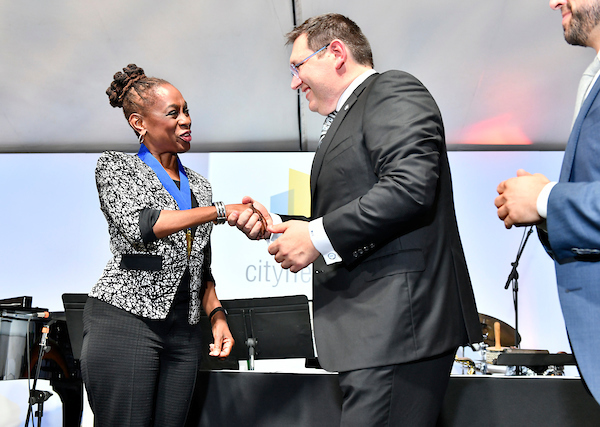 The U.S. Conference of Mayors unanimously passed a resolution in support of city leaders who pursue CityHealth policies. Read the text of the resolution here. City leaders from Boston, Chicago, Kansas City, Los Angeles, Louisville, New York City, San Antonio, and Seattle were honored by President of CityHealth, Shelley Hearne, CEO of the de Beaumont Foundation, Brian Castrucci, and Senior Vice President and Community Health Officer of Kaiser Permanente, Bechara Choucair. See photos of the ceremony below, which took place at the John F. Kennedy Presidential Library & Museum.